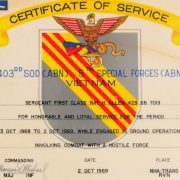 A rare certificate for the 403rd Special Operations Detachment (SOD) that were assigned to Special Forces units throughout Vietnam. 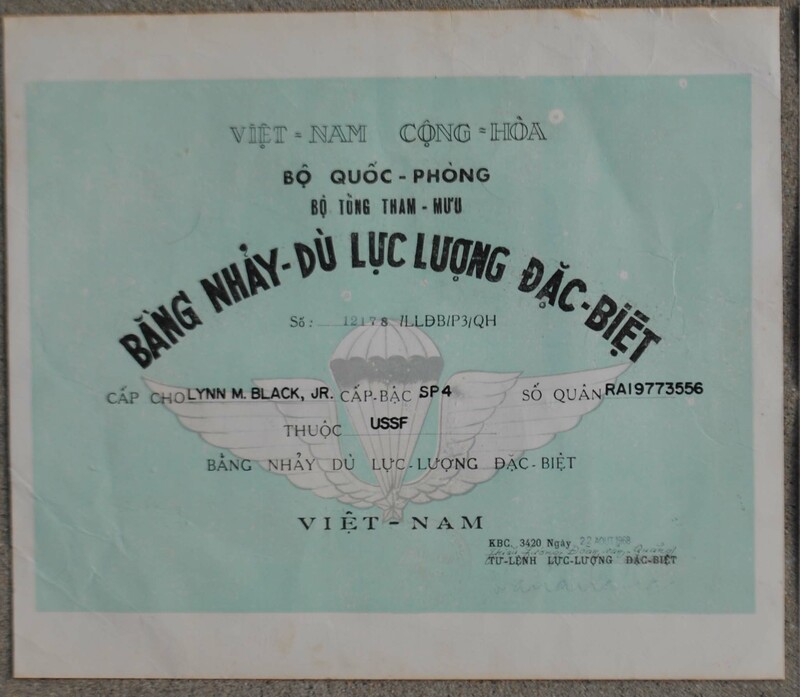 The organization was made up of communication specialist that were involved in enemy radio detection and message interception. 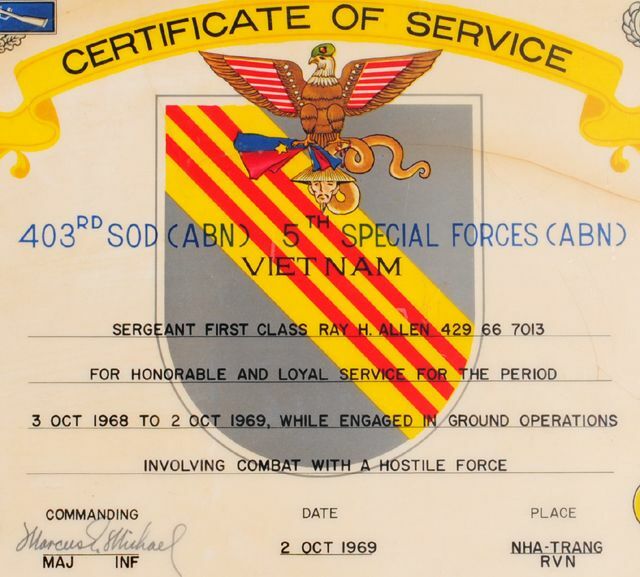 The veteran mounted the certificate on a board that measures 20 Â½ X 16 inches.